Welcome to our web site. We are a family run business with over 40 years experience of providing framing services and fine art to customers in the Sutton Coldfield and Lichfield areas. 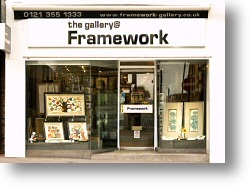 We have our own dedicated workshop in Sutton Coldfield, where framing is carried out to Fine Art Trade Guild Commended Framer level and above. 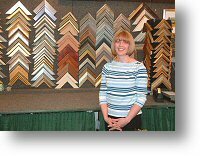 All our framers have at least 20 years experience. 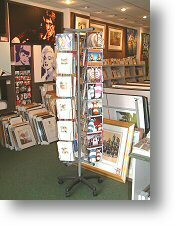 We have an extensive range of frames and mount cards to suit any style of artwork. Our helpful and knowledgeable staff can help guide you through the process of choosing the right combination. All our framing is fully guaranteed. Both of our galleries carry a wide range of fine art prints, both framed or on display in browsers for you to select your own frame. We also have a good selection of fine art greetings cards some of which are exclusive to us, plus a growing stock of fine art sculptures by top artists such as Doug Hyde, Michael Simpson and Matt Buckley.